Forsythia Flowers, originally uploaded by plingthepenguin. 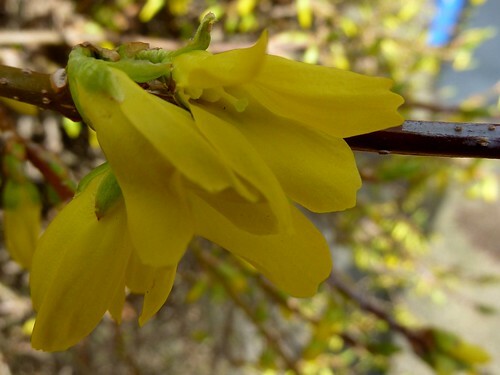 The forsythia is just starting to flower - I really like the yellow flowers & the bush looks pretty when it flowers. Shame that the rest of the spring/summer it's just a big green bush that tries to grow to touch the sky! And if you click through to my flickr account there's also a bonus cat pic as well as a couple more leaf/flower bud pics.